What It Makes- Filter for Aeropress Coffee Maker. Where Can It Be Used- In the Aeropress. 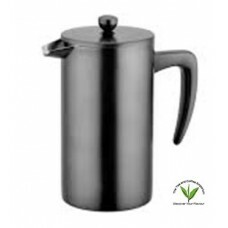 Wh..
Colombia Coffee Plunger A durable double-walled stainless steel French Press that will keep coffe..
Sidamo Coffee Plunger A durable double-walled stainless steel French Press that will keep coffee ..
Thermique Coffee Plunger A durable double-walled stainless steel French Press that will keep coff..
What It Makes- FIlter Coffee Where Can It Be Used- Anywhere you have access to hot water and ..